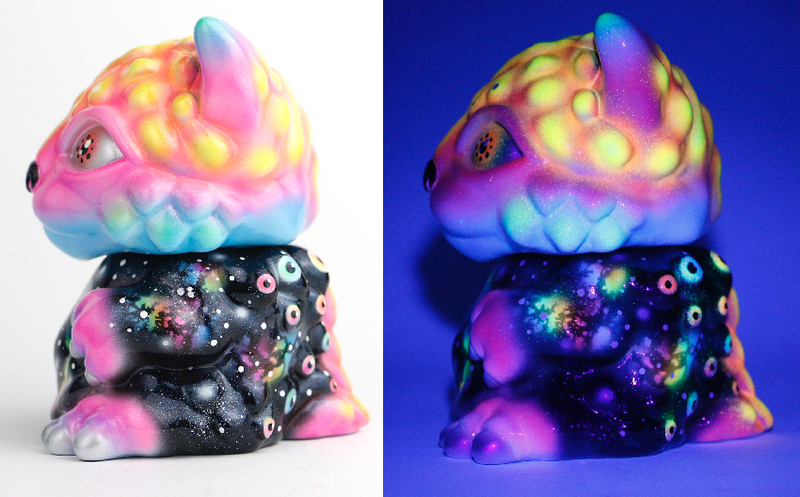 artist Zukaty Using UV reactive paints, artist Zukaty takes Chubz into outer space and beyond ! Note, you need your own UV light to see the glow in dark look .. but it's worth it even in normal light ! 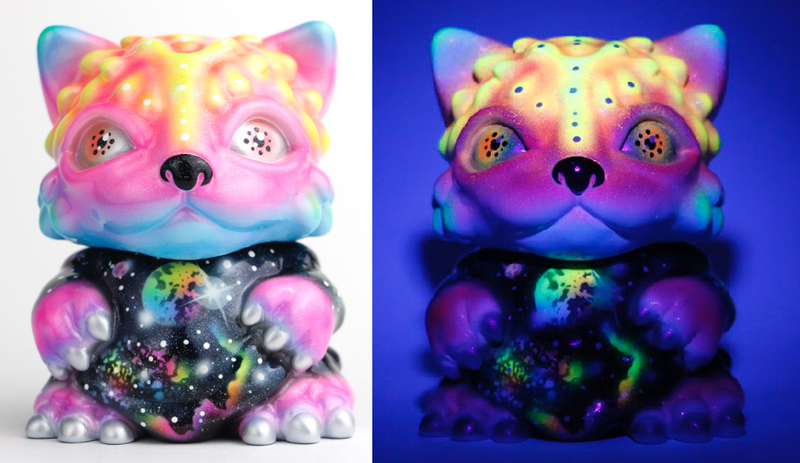 Chubz the Cat stands about 4x3x3 inches and was created by Jay222. 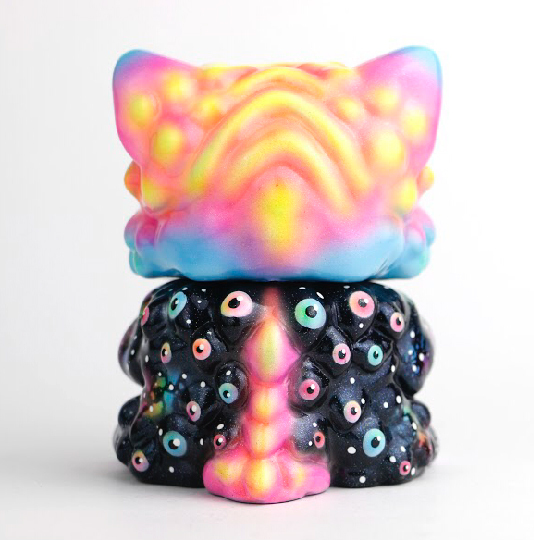 One of a kind custom for that special Cat lover, Meow !